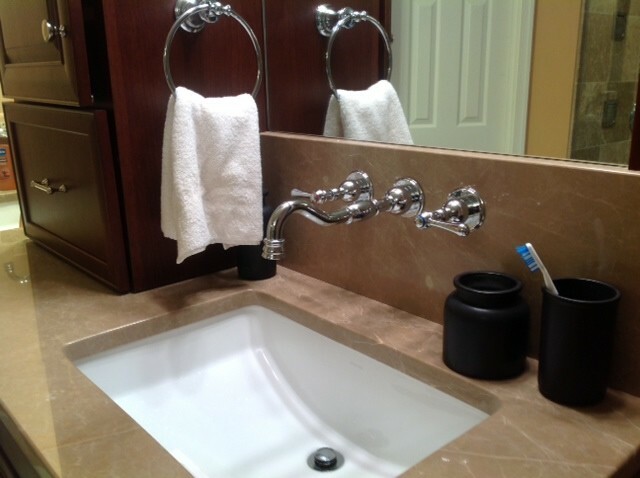 This is a close up of the undermounted sink with the wall mounted faucet. This makes cleaning very easy! what's the sink make and model? - Love the sink depth and shape. Who makes it? Model name? Couldn't find it on Kohler's website. Thanks. Natural Stone Design Gallery's Products in our customer's homes.